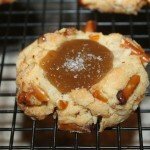 Do you want the best of both worlds in a single cookie – aka Salted Caramel Pretzel Cookie? A sweet treat with a hint of salty flavor that bursts in your mouth with every single bite is exactly what this recipe provides. Every year we participate in various cookie exchanges and look for something unique to add to those Christmas trays. So last week I made one of my favorite cookie recipes instead of opting for the peanut butter blossoms or sugar cookies that I would typically share. 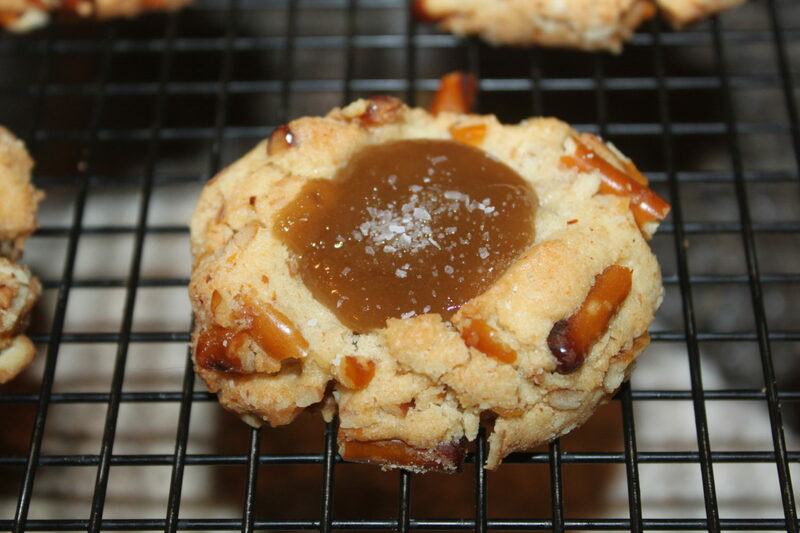 The sweetness of the caramel along with a hint of salt in each bite makes this cookie a favorite for many. In addition the crunchy texture adds a unique attribute to most typical cookie trays. My favorite time to eat them – with a hot cup of coffee in the morning – YUM!!! Whisk the remaining ingredients together before adding it to the mixing bowl. 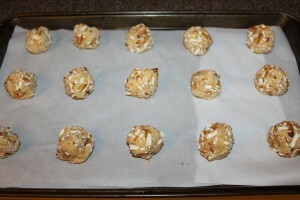 Roll the dough into small balls and then roll them over the crushed pretzels. Place dough on parchment lined paper for easy clean up later. Once the cookies are on the cooling rack fill the center with the caramel. 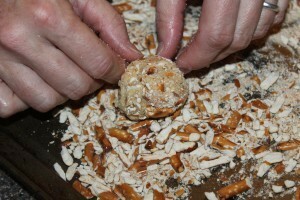 Place 1/4 cups of pretzels in a ziploc bag and crush with rolling pin or meat mallet until coarse crumbles. In a large bowl, beat butter and sugar with a mixer on medium-high speed until light and fluffy. In a separate bowl, whisk egg yolks, honey, vanilla, and salt until incorporated. Then add to butter mixture and mix until combined. Turn mixer to low and add pretzel and flour until just combined. Don’t overmix. Put the remaining 1 1/4 cups of pretzels in ziploc bag and crush. Spread pretzel bits on to baking sheet. Using a cookie scoop drop teaspoon of dough into your hand, roll into a ball, and roll it on to pretzel pieces (making sure to press so the pretzels adhere) and place on baking sheets lined with parchment paper. Each cookie sheet should have approximately 12 cookies. Refrigerate dough for 30 minutes or until firm. 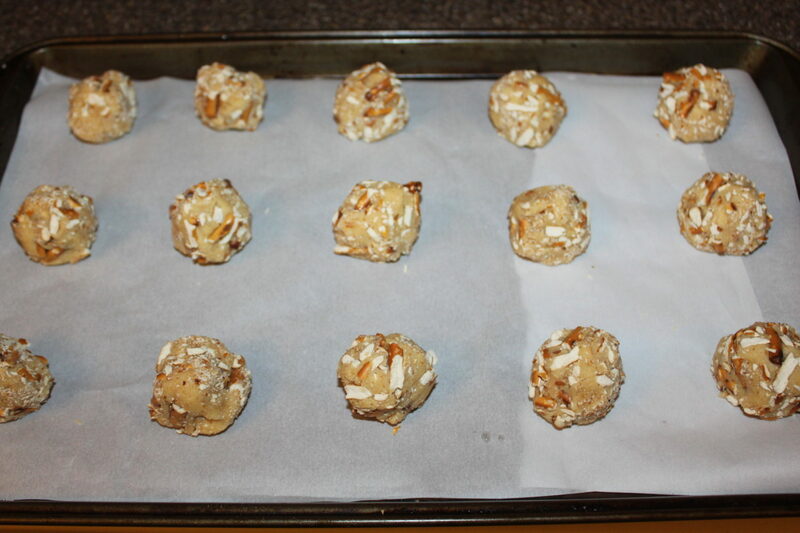 Prior to baking, make a deep indentation in each cookie ball with your thumb. Bake for 15 to 18 minutes or until lightly golden. Re-indent with the back of a teaspoon if necessary. Combine 1/3 cup brown sugar and 1/4 cup butter in small saucepan. Cook over medium heat, stirring constantly, until mixture begins to boil. Continue cooking, stirring constantly, 1 minute. Remove from heat. Stir in whipping cream. 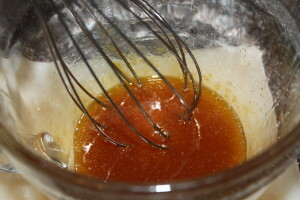 Cool caramel mixture about 15 minutes. 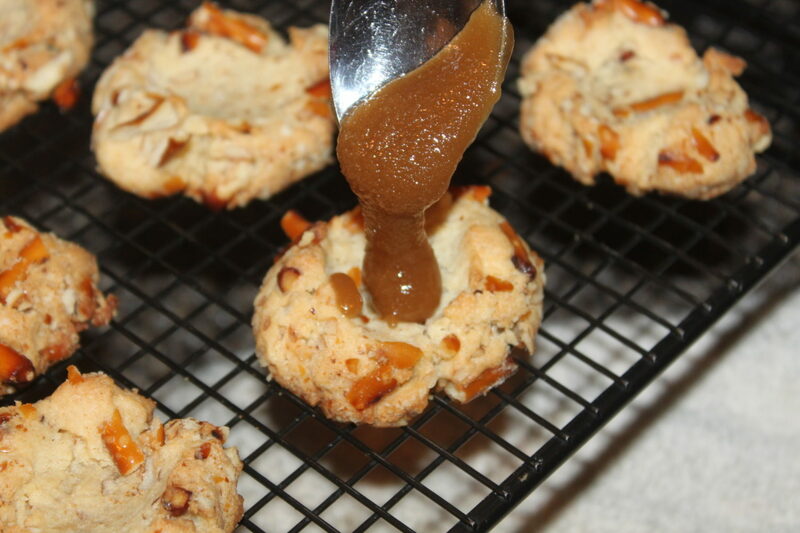 Fill each indentation with caramel and sprinkle with sea salt.